The unique architectural, environmental, historic, social, statutory, economical and design contextual parameters framing this venture from its initial inception in 1998 resulted in a complex design process which faced many challenges over the course of its procurement. 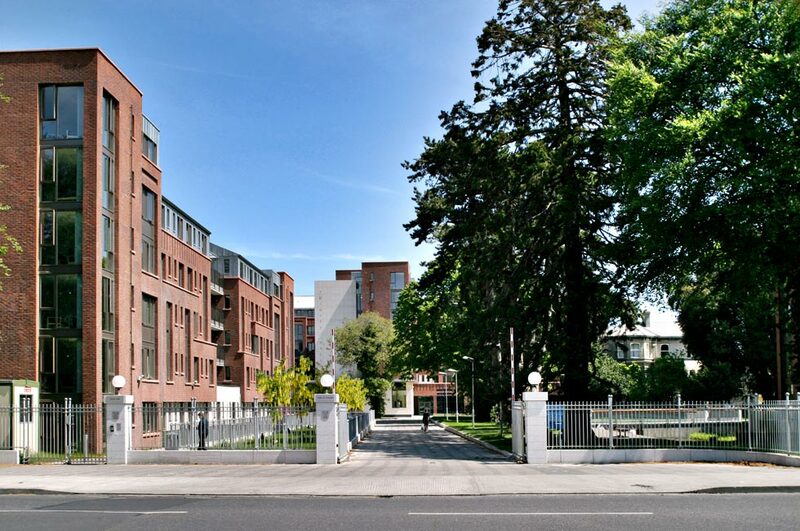 The scheme required a keen appreciation of urban design issues of integration into the urban fabric of a residential conservation area, along with appropriate consideration of the sylvan character of the site’s features set amongst magnificent trees and the exotic research arboretum of the College’s Botanical Department. 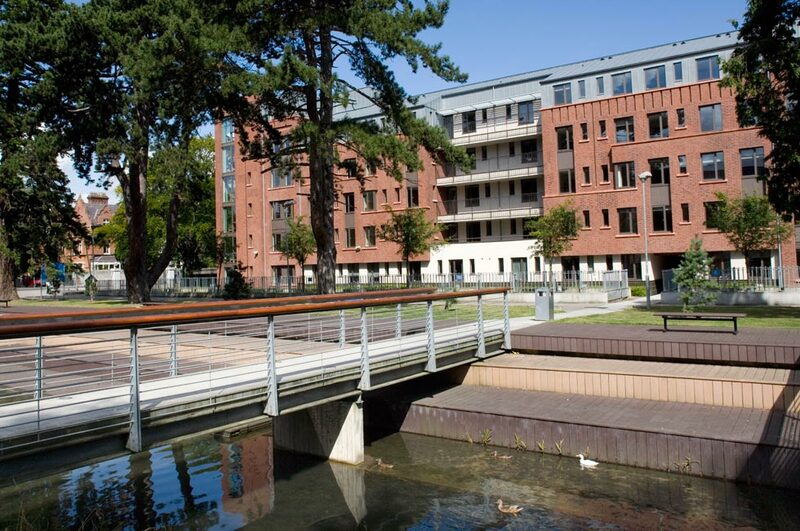 The project straddled the implementation of critical new planning, development, conservation and building control legislation. The design further responds to singular technological and spatial planning pressures arising from the building prototype, to exacting requirements of the new building regulations and to significant economical pressures within the industry. The project as a result incorporates many building systems that are just emerging or are entirely new to the Irish construction market. The result is a subdued, restrained but assured consonance of master-planning, landscape and civic design reflecting a number of original innovations in its construction, an architecture that is fresh, contemporary and balanced responding intimately to its environmental and historical context. 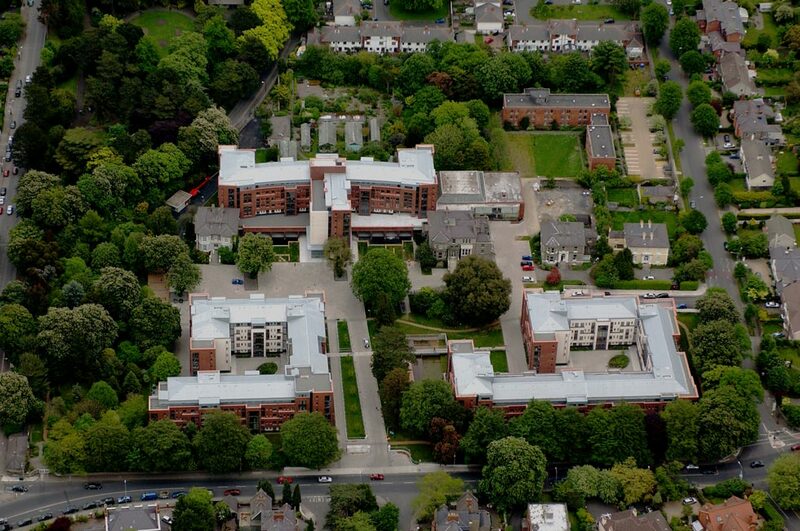 The site is approximately 4.27 hectares located on Dartry Road between Palmerston Park and Temple Road and the existing halls of residences which accommodated approximately 180 students. The new development comprises approximately 25,000 sq.m. 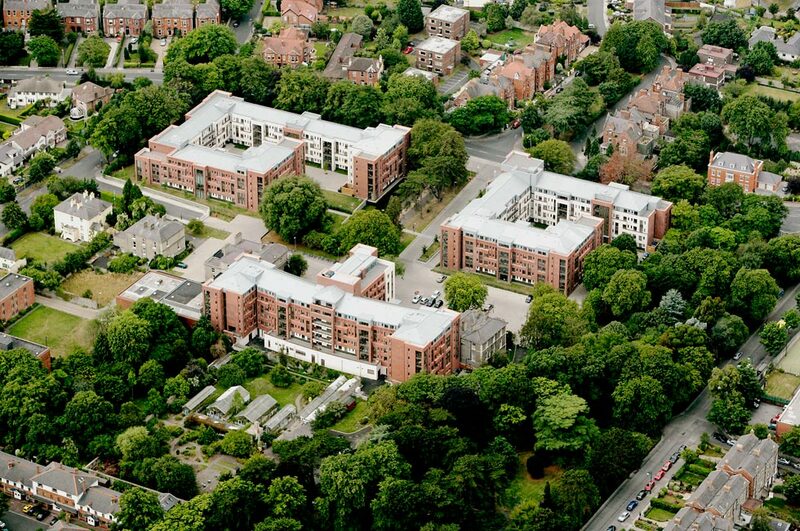 of accommodation distributed over three buildings and includes refurbishment and renovation of Trinity Hall. The campus contains three 19th century pavilions, which are each listed on the record of protected structures. Preliminary work involved the removal of some of the site’s existing structures. 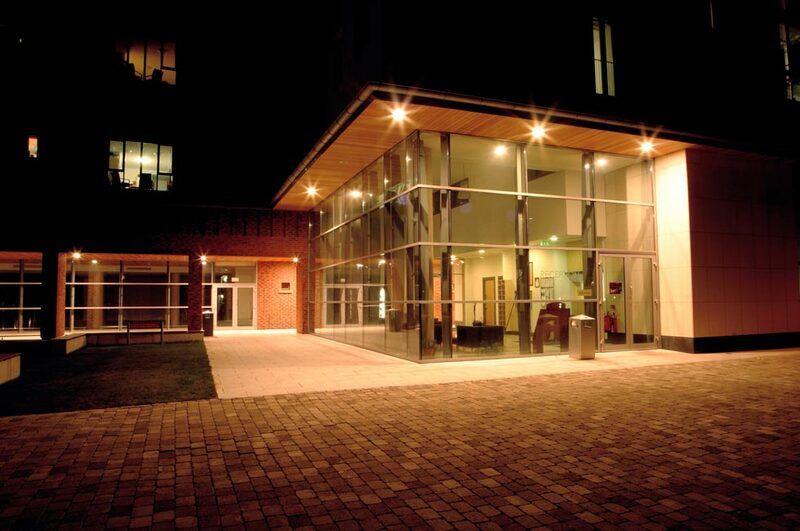 This included the removal of a single-storey gate lodge to facilitate the relocation of the site entrance, removal of the 3-storey annexe and 20th century intervention link block between Trinity Hall and Purser House, and removal of an existing 2-storey glazed lobby to the Sports Hall. 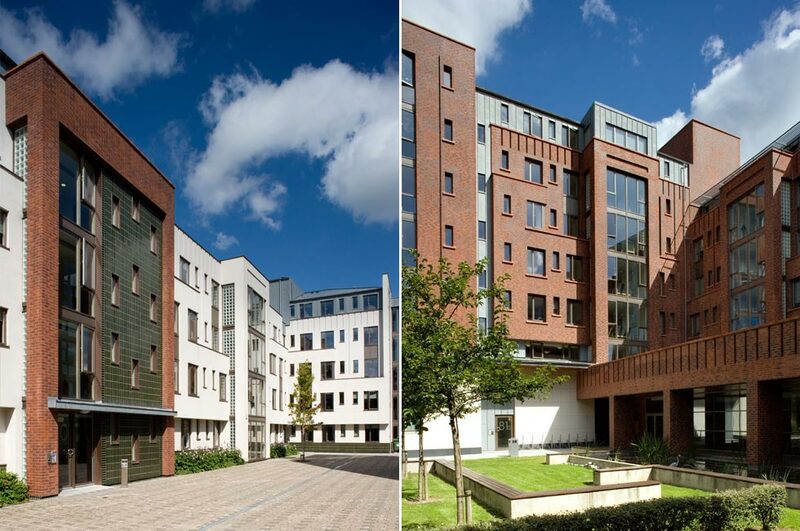 The complex of new buildings provides 946 new bedspaces in 832 new bedrooms. 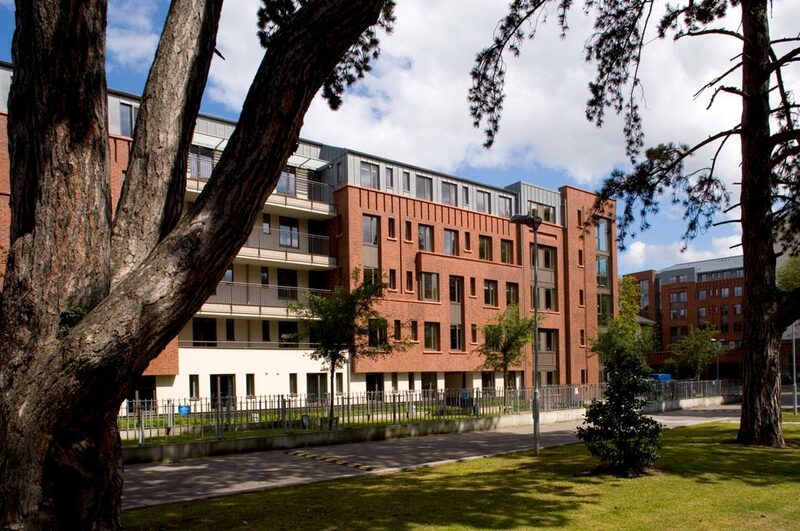 These units are arranged in a combination of twin, single, and staff rooms (with provision for anappropriate ratio of disabled accessible rooms in each category distributed across 180 new apartments, each sharing common living, dining and kitchen areas, over three to seven storeys. Upper storeys to the surrounding context are recessed to minimise any impact on the neighbouring properties. The architectural language is disciplined, rhythmical and deceptively complex in detail to align with the exuberant yet controlled and elegant Victorian residential context. Attention to articulation, materials, landscaping and other features is contemporary in style, measured in execution, thoughtful and accomplished. 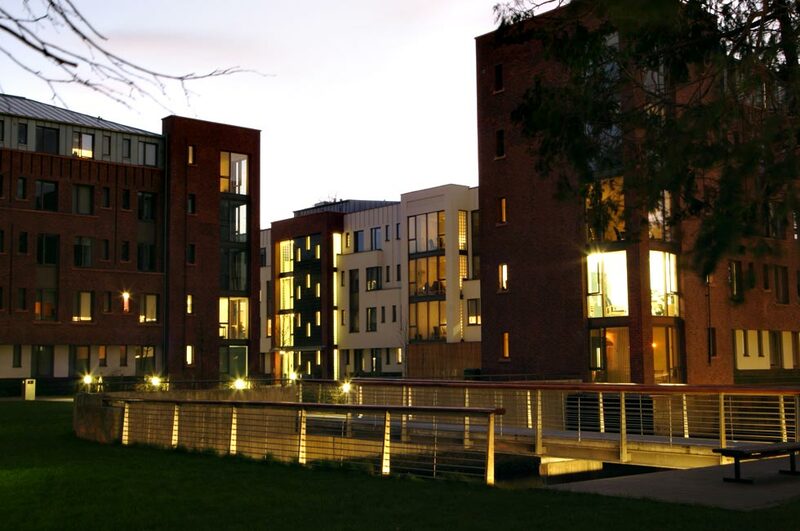 The apartments are grouped into independent, contained houses, gathered to form open-ended courtyards and landscaped parks that create informal, natural and intimate spaces to enhance the quality of suburban institutional living in such a unique setting and to maximise encounter, connectivity and interaction. Support facilities necessary to the basic maintenance and operation of the institution include a laundrette, linen stores, workshops, reception areas, associated stores, offices, and a student shop. They are centrally located and will operate specifically to serve the on-site community. The new buildings provide in addition new dining facilities to allow the students a common area capable of seating 400 diners with associated kitchens and atrium to rear. The proposal in addition provides for the improvement of the existing sports centre, allowing it to function as an independent facility with appropriate support amenities. Associated features include a new commanding avenue and enclosed arboretum aligned with Sunbury Gardens and selective perimeter treatment to the site boundaries. A new central plaza is provided as a forecourt to the pavilion buildings, this is designed for vehicular and pedestrian use. Hard and soft landscaped courtyards are intimate and bright, and water features are provided that fulfil both practical and decorative purposes. Our design approach incorporated the retention and refurbishment of existing mature trees at the arboretum and site perimeter and was accompanied by a comprehensive management plan for the treatment of existing and proposed trees. These design proposals were supplemented by detailed assessment reports concerning tree protection, archaeology, conservation, environmental, traffic, community and statutory issues. Total floor area: 25,000 sq.m.